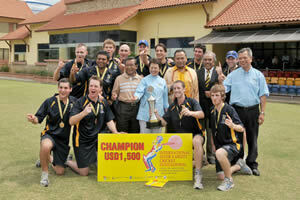 Klang, 6 Aug 2010 – The University of Western Australia cricket team emerged as champion in the International Inter-Varsity Cricket Invitational Championship beating UKM in the finals at the Oval Cricket Bayuemas here yesterday evening. The UKM team, however, ended the nine day championship commendably by beating all the other four teams to become the runner-up. The other four teams that took part were the National University of Singapore; Christ University, India; University of Colombo, Sri Lanka dan NED University of Engineering and Technology, Pakistan. 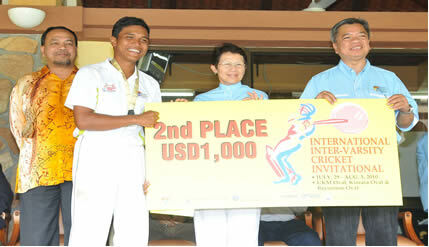 Despite fielding eight national players, UKM the current national Inter-varsity champion found the Western Australia University team which comprises players from the State Sport’s Excellence Centre too strong when it was beaten by six wickets. 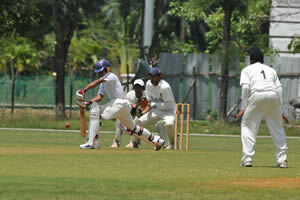 The championship was organised by UKM in collaboration with the Ministry of Higher Education and the Malaysian Malay Cricket Association. Steven Lucan from the University of Western Australia was judged the best player in the finals as well as the best overall player in the championship. The champion team won US$1500 cash with the runner-up getting US$1000 and US$500 for the third place winner, the University of Colombo, Sri Lanka. Each team were also presented with trophies, medals and certificates by UKM’s Vice Chancellor, Prof. Tan Sri Dato’ Dr. Sharifah Hapsah Syed Hasan Shahabudin. Director of Physical Education, Christ University, India, N Vishakantaswamy thanked UKM as the host on behalf of the visiting teams for succesfully organising the championship.